Today HRC and Equality North Carolina, the state's leading LGBT advocacy organization, announced that it has filed an open records request seeking information from the office of Gov. Pat McCrory, Senate leader Phil Berger and Speaker Tim Moore about H.B.2. View the letters to the office of Gov. McCrory, Senator Berger and Speaker Moore HERE. Neither the Governor, who signed the bill in the dead of night the very day it was introduced, nor the sponsors of the bill seem to understand the gravity of what this piece of legislation has done. For that reason, HRC and Equality NC are invoking the North Carolina Public Records Law to gain access to any communications the Governor, the Executive Branch, or the General Assembly had among each other or with the kind of extreme anti-LGBT special interest groups who often craft and push this language. 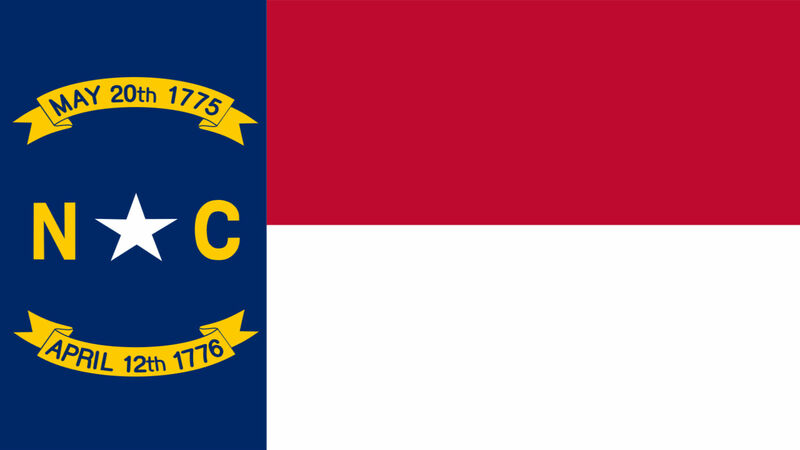 Specifically, the organizations are demanding that the government release any communications legislators or the Governor or his staff have had with the North Carolina Values Coalition or the Alliance Defending Freedom. Politifact has rated McCrory’s claim as “false” that H.B.2 doesn’t take away existing rights, reporting, “ When asked about it at that press conference Monday, McCrory said he was blindsided by the question and couldn’t answer it…” The report notes that the bill takes away the rights of everyone in North Carolina to file a lawsuit in state courts over employment discrimination, and the ability of cities to enact non-discrimination policies. In addition to its attacks on LGBT North Carolinians, H.B.2 removed local non-discrimination protections for veterans, and makes it harder for all workers who experience discrimination, such as being fired because of their race, gender or religion, who no longer have a remedy in state courts. H.B. 2 has eliminated existing municipal non-discrimination protections for LGBT people and prevents such protections from being passed by cities in the future. The legislation also forces transgender students in public schools to use restrooms and other facilities inconsistent with their gender identity, putting 4.5 billion dollars in federal funding under Title IX at risk. It also compels the same type of discrimination against transgender people to take place in state buildings, including in public universities. Gov. Pat McCrory and state lawmakers are under increasingly intense pressure to repeal the discriminatory law in the upcoming legislative session. Mayors and governors across the country are banning travel to the state, and the New York Times editorial board called North Carolina a “pioneer in bigotry.” Major film studios and corporations, including PayPal and Deutsche Bank, have stopped investments in the state because of the new law, and more than 140 leading CEOs and business leaders have signed an open letter urging Gov. McCrory and the North Carolina General Assembly to repeal the radical provisions in the deeply discriminatory law. Last week, Bruce Springsteen cancelled a concert in Greensboro to stand in solidarity with LGBT people across North Carolina and the nation. North Carolina has the unfortunate distinction of becoming the first state in the country to enact a law attacking transgender students, even after similar proposals were rejected across the country this year -- including a high-profile veto by the Republican Governor Dennis Daugaard of South Dakota. North Carolina school districts that comply with the law will now be in direct violation of Title IX, subjecting the school districts to massive liability and putting an estimated $4.5 billion of federal funding from the U.S. Department of Education, as well as funding received by schools from other federal agencies, at risk. This section of House Bill 2 offers costly supposed solutions to non-existent problems, and it forces schools to choose between complying with federal law -- plus doing the right thing for their students -- or complying with a state law that violates students’ civil rights.Read more about how this bill puts federal funding at risk here.